Many fashion-forward women are aware of the painful consequences that come with wearing high heels for extended periods of time. However, what women often forget is that flat shoes—especially those with little to no foot support—can cause just as many foot problems as heels. 41-year-old teaching assistant Michele Crow learned this the hard way after being diagnosed with plantar fasciitis following a vacation in Portugal. Crow had worn a pair of wooden-soled flip-flops that left her with burning, stabbing pains. When the pain did not improve, a consultation with her doctor told Crow she had plantar fasciitis. “He said that wearing flat, unsupportive shoes, such as flip-flops and old trainers, had caused my arches to drop and the ligaments and tendons in the base of my foot to overstretch or tear,” said Crow. Plantar fasciitis is a painful condition. 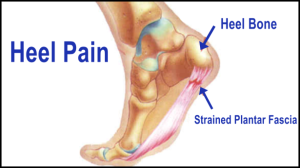 Therefore, if you are experiencing heel pain, see one of our podiatrists at Foot HealthCare Associates. Our doctors will provide you with quality foot and ankle treatment. Shockwave therapy – sends sound waves to the areas experiencing pain. Requires multiple sessions. It’s a highly-effective treatment for very persistent cases of plantar fasciitis. An ultrasound-guided technique with steroid injections into the plantar fascia. This is from a relatively new and small study, but in most cases treated, it proved to be effective. According to groundbreaking treatment option studies, Luca M. Sconfienza, M.D. says that ultrasound with steroid injections was effective in over 95% of cases that involve plantar fasciitis. This process involves anesthesia and is a single process, this out-patient treatment was discovered to be highly effective. Luca M. Sconfienza M.D. presented her study at an annual meeting for the Radiological Society of North America (RSNA). Be sure to speak with your podiatrist about different methods that can be used, as well as finding out what treatment options they offer.